Membership year: January 1 - December 31. An individual, a family, a partnership, a farm, a corporation, or syndicate may apply for membership at any level and participate under that name. Membership mailings will be sent to only one address. Place an ad in the 2019 Member Directory, click HERE. Note: The information entered on this form will be used to create your public online profile and printed member directory listings. Please check below select available payment options. Auto Renewal Option - Check this box and continue to checkout to take advantage of our convenient auto-renewal option. Payment Plan* - Three equal installments via bank draft with no interest of fees. Dues must be paid in full for membership benefits to apply. Advance Payment Discount* - Pay for three years of Premium Membership in one full payment and receive a $150 Discount! *When selecting either Payment Plan or Advance Payment Discount, complete the remainder of this form and click "Submit" at the bottom. Pyramid Society staff will contact you to complete payment. By selecting a Membership Level below and clicking continue, you agree to ALL of the Membership terms and guidelines set forth below. Thank you for choosing to support The Pyramid Society through membership and for joining in our mission to preserve, promote, and perpetuate the Egyptian Arabian horse! CONTRIBUTIONS, GIFTS, GRANTS, DUES, OR SIMILAR PAYMENTS TO THE PYRAMID SOCIETY ARE NOT DEDUCTIBLE AS CHARITABLE CONTRIBUTIONS FOR FEDERAL INCOME TAX PURPOSES. 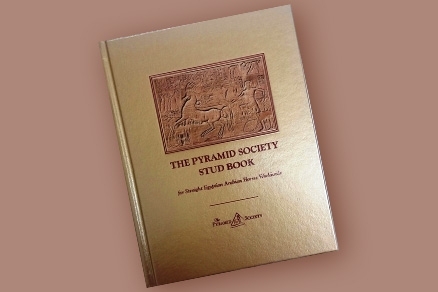 I understand that The Pyramid Society logo may be used in advertising as long as I am a member in good standing.